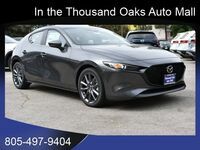 The smallest sedan available in the Mazda lineup is the Mazda3. This compact car is also available as a hatchback, but here we are going to focus on the four-door sedan version. This car embodies everything that Mazda stands for. It is efficient, stylish, and affordable. How does it compare to others, though? That is why we are here. 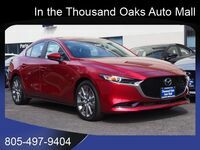 We are putting the 2018 Mazda3 up against the 2018 Nissan Sentra. There is a bit of a rivalry between Mazda and Nissan, so we thought this would make for a fun matchup. Note that we are comparing the base trim levels to be as fair as possible. See how these two vehicles compare! 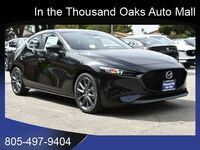 The higher starting price of the Mazda3 is more than justified by its enhanced engine specs and its host of technological features. 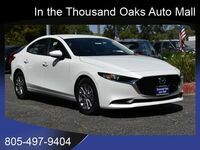 Other tech features that come available with the base Mazda3 that aren't available on the base Sentra include blind spot monitoring, park assist, in-vehicle assistance, radar cruise control, and satellite radio integration. Both cars are very efficient, and there isn't a real winner there, as you can see. 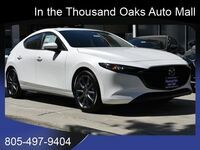 Other great features on the Mazda3 include a rearview camera, MAZDA CONNECT™ infotainment, remote keyless entry, Bluetooth hands-free phone and audio streaming, and much more. Driving the Mazda3 is quite the thrill. 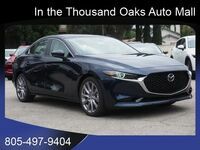 Come down to Neftin Westlake Mazda and check it out for yourself. We will get you set up with a test drive if you haven't already done it yourself and answer any questions you have. 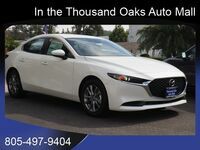 Give us call at 833-269-2972 or visit us at 3500 Auto Mall Dr., Thousand Oaks, CA. We hope to see you very soon.